Because it’s used by millions of people, one of the many advantages of using WordPress as the basis of your website, is the huge repository of resources available to help you understand and get the best out of the platform. We think video based tutorials are a great place to begin learning about how to use WordPress to manage your website, as they make it easier and quicker to absorb the concepts, rather than reading long texts on screen might? 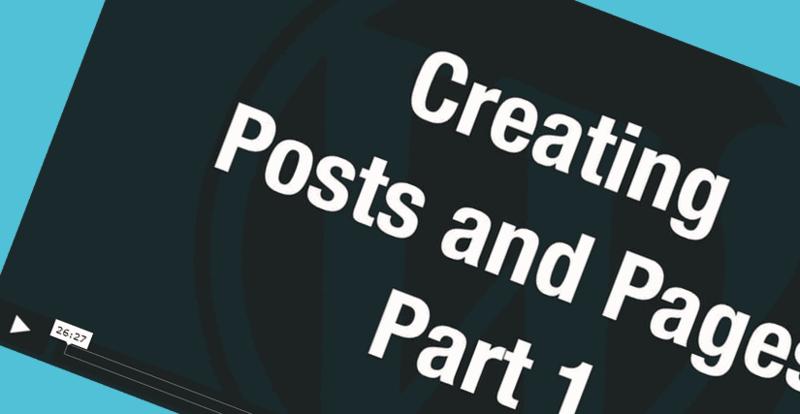 A good example is this video showing how easy it is to create Pages and Posts in WordPress. We’ll be using the WordPress Blog Engine to highlight any new resources we find along the way, as this also allows us to also demonstrate another powerful feature of WordPress at the same time.